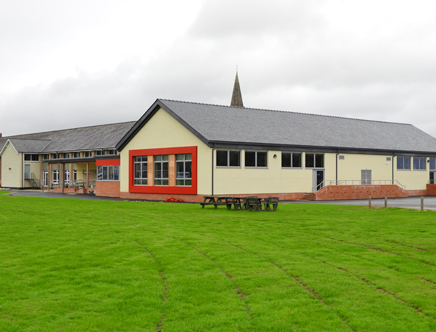 Work is now complete on the refurbishment and extension on a new school for 5-18 year olds, Ysgol Gydol Oes Y Bala. The project was undertaken by Wynne Construction as a phased development. The works involved the creation of a new public library and cinema facilities to enable the school to become a community hub.